For this year's Mille Miglia race in Italy, a one thousand mile epic journey, a 1930 LeMans racer and a 1930 customer demonstrator, both 4.5-liter Supercharged Blowers from a time when Bentley was the name to beat in motorsports. The cars will be competing in the 2013 Mille Miglia and, despite their 90 plus years of age, are expected to be some of the most competitive on the road. The 1930 Le Mans racer was the No. 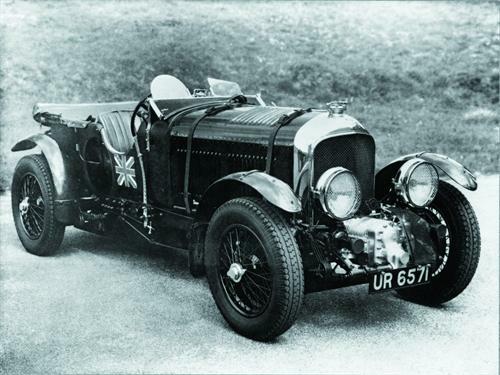 2 Team Car driven by the legendary Captain Tim Birkin, one of the most famous of the Bentley Boys in the 20's and 30's. It is best known for its duel with a 7-liter Kompressor Mercedes in 1930, where Birkin put the wheels into the turf to complete a side pass at 120 miles per hour and despite throwing a tread in the lawn, Birkin and the Blower managed to complete their fastest lap of the race. Although the Blower didn't finish the race, it was instrumental in putting pressure on the Mercedes team and giving Glenn Kidston the win in a Bentley Speed Six. Both cars were owned by Bentley and then eventually sold and repurchased. They are now residents at the Crewe Headquarters museum. Despite their storied histories and being long in the tooth, the Bentley team is confident that the two classic Blowers will do well at the Mille Miglia.